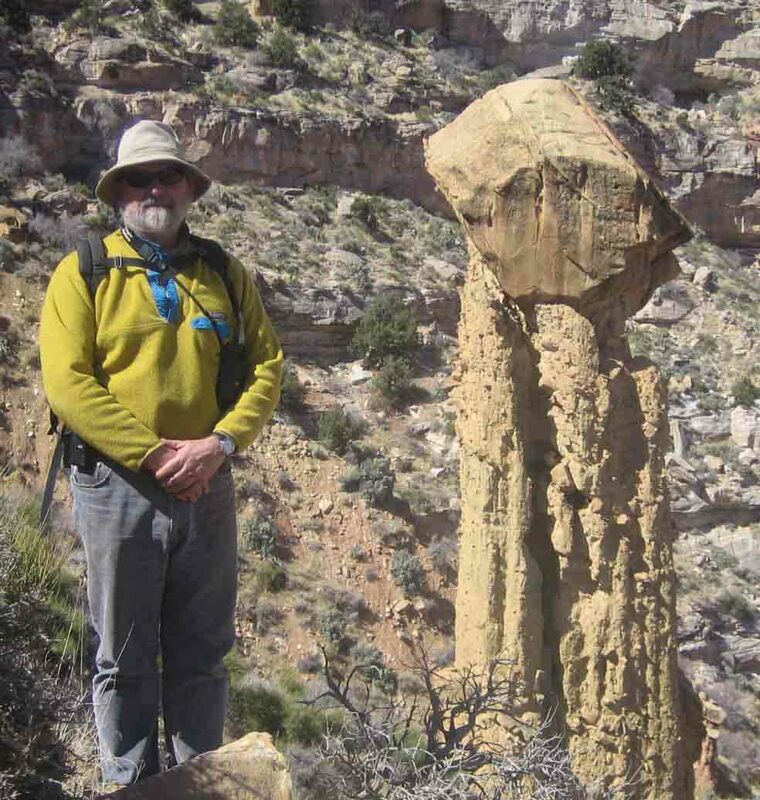 Presently, I am a Emeritus Professor in the Department of Geoscience at the University of Montana. I have been on the faculty at UM since 1977 and have a wide range of experience in teaching, research and policy. From 2004-2006, I served as the Lead Scientist for the California Bay-Delta Authority, Science Program, in Sacramento, CA, which oversees science conducted for the CALFED Program, a multi-year, billon-dollar ecosystem restoration and water management program in the Sacramento-San Joaquin River-Delta system. At the University of Montana, I teach and do research in environmental geoscience, specifically, human effects on rivers, environmental geochemistry and response to global climate change. I have authored about fifty refereed journal publications, many reports, two books, and many abstracts/papers presented at professional meetings; close to sixty grants and contracts since 1979 total approximately $6 million. Human-induced changes in runoff within the context of natural hydrologic variability in the Rocky Mountains; Natural variation of Holocene hydrologic change; River processes and restoration; Metal and metalloid contamination in aquatic systems resulting from agricultural, industrial, mining and smelting operations; Partitioning and transfer of contaminants within water-sediment-biota in aquatic systems; Mobilization of metals and metalloids from contaminated floodplain soils. Moore, J.N. and H.W. Langner, 2012, Can a river heal itself? Natural attenuation of metal contamination in river sediment, Environmental Science and Technology, DOI: 10.1021/es203810j Publication Date (Web): February 9, 2012. Plathe, K.L., F. von der Kammer, M. Hassellöv, J. Moore, M. Murayama, T. Hofmann, M.F. Hochella, Jr., 2010, Using FlFFF and aTEM to determine trace metal – nanoparticle associations in riverbed sediment, Environmental Chemistry, 7 (82–93), doi:10.1071/EN09111. K. L. Plathe, K.L., F. von der Kammer, M. Hassellöv, J.N. Moore; M. Murayama, T. Hofmann, and M.F. Hochella, Jr., 2012, The role of nanominerals and mineral nanoparticles in the transport of toxic trace metals: Field-flow fractionation and analytical TEM analyses after nanoparticle isolation and density. Geochimica et Cosmochimica Acta., 102, pp213-225, DOI: 10.1016/j.gca.2012.10.029. Feris, K.P., Ramsey, P.W., Gibbons, S.M., Frazar, C., Rillig, M.C., Moore, J.N., Gannon, J.E., and W.E. Holben, 2009, Hyporheic microbial community development is a sensitive indicator of metal contamination, Environmental Science & Technology, 43 (16), pp 6158–6163, DOI: 10.1021/es9005465. Greenwood, M., Harper, J., Moore, J., 2009, An Application of Statistics in Climate Change: Detection of Nonlinear Changes in a Streamflow Timing Measure in the Columbia and Missouri Headwaters. In P.S. Bandyopadhyay and M. Forster, eds., Handbook of the Philosophy of Science, Vol. 7: Statistics, Elsevier. Luoma, S.N., Moore, J.N., Farag, A., Hilman, T.H., Cain, D.J. and M. Hornberger, 2008, Mining Impacts on Fish in the Clark Fork River, Montana: A Field Ecotoxicology Case Study, Chap. 19, in The Toxicology of Fishes, R.T. Di Giulio and D.E. Hinton, Eds., CRC Press, Boca Raton, Florida. Moore, J. N., J. T. Harper, and M. C. Greenwood, 2007, Significance of trends toward earlier snowmelt runoff, Columbia and Missouri Basin headwaters, western United States, Geophysical Research Letters, 34, L16402, doi:16410.11029/12007GL031022. M.H. Hofmann, M.S. Hendrix, J.N. Moore and M. Sperazza, 2006, Late Pleistocene and Holocene depositional history of sediments in Flathead Lake, Montana: Evidence from high-resolution seismic reflection interpretation. Sedimentary Geology, vol. 184, Issues 1-2, p 111-131. Hochella, M.F. Jr.; Moore, J.N. ; Putnis, C.V.; Putnis, A.; Kasama, T.; Eberl, D.D., 2005, Direct observation of heavy metal-mineral association from the Clark Fork River Superfund Complex: Implications for metal transport and bioavailability. Geochimica et Cosmochimica Acta, vol. 69, Issue 7, p. 1651-1663. Hochella, M.F., Jr.; Kasam, T.; Putnis, A.; Putnis, C.V. and Moore, J.N., 2005, Environmentally important, poorly crystalline Fe/Mn hydrous oxides: Ferrihydrite and a possibly new vernadite-like mineral from the Clark Fork River Superfund Complex. American Mineralogist, vol. 90, p. 718–724. DOI: 10.2138/am.2005.1591 718. Sperazza, M, Moore, J.N. and M.S. Hendrix, 2004, High-resolution particle size analysis of naturally occurring very fine-gained sediment through laser diffractometry. Journal of Sedimentary Research, vol. 74, no. 5, p. 736–743. Feris, K. P., P. W. Ramsey, C. F. Frazar, J.N. Moore, J. E. Gannon, and W.E. Holben, 2003, Structure and seasonal dynamics of hyporheic zone microbial communities in free-stone rivers of the Western United States. Microbial Ecology, DOI: 10.1007/s00248-002-0100-x. Nagorski, S. A. , J.N. Moore, and T.E. McKinnon, 2003, Seasonal and storm-scale variations in heavy metal concentrations of two mining-contaminated streams, Montana, USA. Journal de Physique IV, Journal de Physique IV, vol. 107, p. 909-911, C. Boutron and C. Ferrari, Eds. Feris, K. P., P. W. Ramsey, C. F. Frazar, J.N. Moore, J. E. Gannon, and W.E. Holben, 2003, Differences in hyporheic zone microbial community structure along a heavy metal gradient. Appl. Environ. Microbio, vol. 69, p. 5563-5573. Nagorski, S. A., J.N. Moore, T.E. McKinnon and D.B. Smith, 2003, Scale-dependent temporal variations in stream water geochemistry: Environmental Science and Technology, 37(5): 859-864. Nagorski, S. A. , J.N. Moore, T.E. McKinnon and D.B. Smith, 2003, Geochemical response to variable streamflow conditions in contaminated and uncontaminated streams: Water Resources Research, 39(2): 1044-1058. Moore, J.N., and W.W. Woessner, 2003, Arsenic Contamination in the Water Supply of Milltown, Montana, in Welch, A.H., and Stollenwerk, K.G., eds., Arsenic in Ground Water: Geochemistry and Occurrence: Norwell, Massachusetts, Kluwer Academic Publishers, p. 329-350. Nicholas, D. R., Ramamoorthy, S., Spring, S., Moore, J. N., and R.F. Rosenzweig, 2003, Biogeochemical transformations of arsenic in circumneutral freshwater sediments: Biodegradation, (in press). Nagorski, S.A., Moore, J.N. and D.B. Smith, 2002, Distribution of metals in water and bed sediment in a mineral-rich watershed, Montana, USA: Mine Water and the Environment, 21:121-136. White, K.D. and J.N. Moore, 2002, Impacts of Dam Removal on Riverine Ice Regime: ASCE Journal of Cold Regions Engineering, 16(1): 1-50. Moore, J.N., and W.W. Woessner, 2000, Solute and solid phase relationships in the surface hyporheic zone of a metals contaminated stream, Silver Bow Creek, MT. Proceedings of the Ground-Water/Surface Water Interactions Workshop, USEPA, EPA/542/R-00/007, July 2000, p. 151-155. Castro, J.M. and J.N. Moore, 2000, Pit Lakes: Their characteristics and the potential for their remediation. Environmental Geology, 39 (11): 1254-1260. Nagorski, S.A., T.E. McKinnon, J.N. Moore and D.B. Smith, 2000, Geochemical characterization of surface water and streambed sediment of the Blackfoot River, Montana, during low flow condiditons, August 16-20, 1998. U.S. Geological Survey Open-File Report 00-003, 59 p.
Hochella, M.F., J.N. Moore, U. Golla and A. Putnis, 1999. A TEM study of sample from acid mine drainage systems: Metal-mineral association with implications for transport. Geochimica et Cosmochimica Acta, 63(19-20): 3395-3406. Wielinga, B, J.K. Lucy, J.N. Moore, O.F. Seastone and J.E. Ganon, 1999, Microbial and geochemical characterization of fluvially deposited sulfide mine tailings. Applied and Environmental Microbiology, 65(4): 1548-1555. Nagorski, S. and J. N. Moore, 1999. Arsenic mobilization in the hyporheic zone of a contaminated stream. Water Resources Research, 35(11): 3441-3450. Zhang, Y.Q., W.T. Frankenberger, Jr. and J.N. Moore. 1999. Effect of soil moisture on dimethyselenide transport and transformation to nonvolatile selenium. Environmental Science and Technology, 33(19): 3415-3420. Zhang, Y.Q., J.N. Moore and W.T. Frankenberger, Jr. 1999. Speciation of Soluble Selenium in Agricultural Drainage Waters and Aqueous Soil-Sediment Extracts Using Hydride Generation Atomic Absorption Spectrometry. Environmental Science and Technology, 33(10): 1652-1656. Zhang, Y.Q., W.T. Frankenberger, Jr. and J.N. Moore. 1999. Measurement of Selenite in Sediment Extracts by Using Hydride Generation Atomic Absorption Spectrometry. Science of the Total Environment, 229:183-193. Castro, J.M, Wielinga, W.W., Gannon, J.E. and J.N. Moore, 1999, Simulation of sulfate–reducing bacteria in lake water from a former open–pit mine through addition of organic wastes: Water Environment Research, 71(2):218-223. Moore, J.N. and E.M. Landrigan, 1999, Mobilization of metal–contaminated sediment by ice–jam floods: Environmental Geology, 37(1-2): 96-101. Nimick, D.A., Moore, J.N., Dalby, C.E, and M.W. Savka, 1998, The fate of geothermal arsenic in the Madison and Missouri Rivers, Montana and Wyoming: Water Resources Research, 34(11): 3051-3067. Nagorski, S.A., Shifflett, J.A., Moore, J.N. and D.B. Smith, 1998, Geochemical Baseline Studies and Relations Between Water Quality and Streamflow in the Upper Blackfoot River Watershed, Montana: Progress Report for July 1997-March 1998: U.S. Geological Survey Open-File Report 98-499, 133 p.
McCarty, D.K., Moore, J.N. and A. Marcus, 1998, Mineralogy and trace element association in an acid mine drainage iron oxide precipitate: comparison of selective extractions: Applied Geochemistry, 13: 165-176. Zhang, Y. and J. N. Moore, 1998, Selenium Accumulation in a Wetland Channel, in, Frankenberger, W. and Engberg, R. (Eds. ), Environmental Chemistry of Selenium. Macel Dekker, Inc., N.Y., Chap. 14, p. 243-257. September 1987-present: Professor of Geoscience, University of Montana, Missoula, MT 59812. 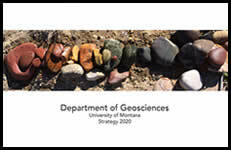 August 2010-May 2013: Chair of the Department of Geosciences, University of Montana, Missoula, MT 59812. July 2004-June 2006: Lead Scientist of the California Bay-Delta Authority Science Program, Sacramento, CA 95814; Professor of Geosciences (academic leave), University of Montana, Missoula, MT 59812. September 1988 to June 1989: Visiting Research Scientist at the US Geological Survey, Water Resource Division, National Research Program, Menlo Park, California 94025; Professor of Geology (sabbatical leave), University of Montana, Missoula, MT 59812. September 1980 to September 1987: Associate Professor of Geology, University of Montana, Missoula, MT 59812. September 1977 to September 1980: Assistant Professor of Geology, University of Montana, Missoula, MT 59812. Research: Human-induced changes in runoff within the context of natural hydrologic variability in the Rocky Mountains; Natural variation of Holocene hydrologic change; River processes and restoration; Metal and metalloid contamination in aquatic systems resulting from agricultural, industrial, mining and smelting operations; Partitioning and transfer of contaminants within water-sediment-biota in aquatic systems; Mobilization of metals and metalloids from contaminated floodplain soils. Graduate Teaching Experience: River Restoration and Management; Hydrologic Change; Environmental Geochemistry; Geochemistry of metal contamination; Geochemistry of As, Sb and Se; Metals transport in aqueous systems; Sediment and contaminant transport; Stratigraphic Analysis; Tectonics and Sedimentation; Environmental Analysis. Undergraduate Teaching Experience: Environmental Geology; Oceanography; Global Change; Environmental Geochemistry, Introductory Geology; Field Geology; Stratigraphy and Sedimentation; Mineralogy and Petrology. California Bay-Delta Authority Service Award in June 2005. University of Montana Distinguished Scholar for 1995. University of Montana Merit Awards: 1983, 1986, 1989, 1991, 1993, 1997, 1999, 2001, 2005, 2011. Associate Editor, San Francisco Estuary and Watershed Science (2008-present) http://repositories.cdlib.org/jmie/sfews/.